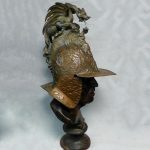 Antique French dore over bronze, cut glass and red marble figural centerpiece. Three putti stand around pedestal, holding garland. 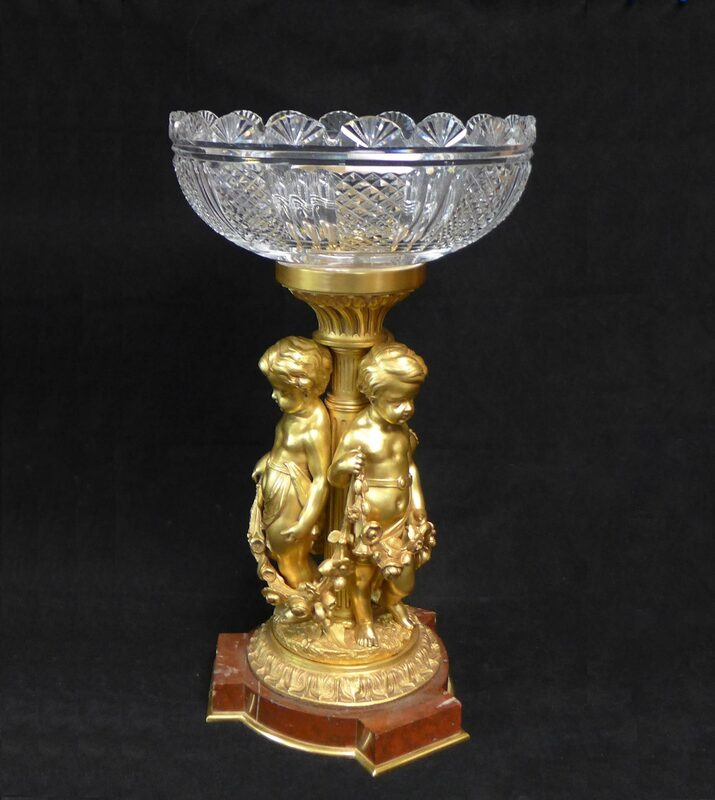 Large ornate cut glass bowl at top.